Why do you need KPIs? It’s all about ensuring the right outcomes in business activities. 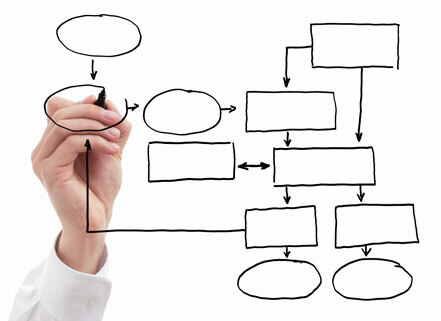 A business process is a business activity with specified rules and procedures to ensure certain outcomes. It is possible to do a business activity without a process. You simply provide support or do sales without any rules and procedures. Most often when volume of the activity is high and/or if more than 5 people work together in the business activity, most companies will install rules and procedures — a process. At the same time the process is automated with software for administration purposes. These processes and automation should ensure that within the volume of the activity, and the people working together, outcomes can be guaranteed. If processes would not exist people could work on the wrong priorities, or work in a certain state of chaos. To recap. Companies install processes to ensure business outcomes. So, it makes a lot of sense to actually measure these outcomes and compare them against expectations. And if expectations are not met, then processes need to be adapted. That’s why you need Key Performance Indicators — KPIs. It is a simple as that. Actually I believe it does not make any sense to install processes and not measure outcomes, because the processes were installed to ensure outcomes. Without KPIs you do not actually have defined a business process; you have the illusion of a business process. Nice article and very true. Just one small point, if expectations are not met it is not necessarily the processes that need adapting. There are other possible causes.